There is a variety of ways that Mac users can enjoy their favorite online poker games. Some sites now offer No-Download “flash” poker sites in which a player can simply log in and play directly from their browser. Sometimes they call it “Instant-Play Poker” since you can literally play instantly from your computer. The great thing about Flash Poker sites and No Download versions is that you don’t have to keep getting upgraded to the latest version when they come out with a new update. You will always be playing on the latest versions when you play through the Instant Play version. The Flash based poker clients also work very well on LINUX systems. Other poker sites have even taken the step to create Mac-friendly software so players who want to enjoy the full online experience can now do so by downloading a Macintosh software program. These are called downloadable Mac software sites. You can then load it up on your MAC anytime you want to, just like you would on a PC. The only disadvantage here is that you would have to take up disk space on your computer in order to run the program. I’ve personally used this option and haven’t had any problems. A third option is for the more tech savvy Mac users who have the ability to go out and install a PC emulator which allows for downloading Windows-based poker software. There are a few different PC emulators on the market that will allow you to install a version of Windows on your Mac and play poker directly through Windows on the PC emulator. The 2 most popular ones are Boot Camp and iEmulator for Macs. The only drawback here is that there is a cost involved with buying these PC emulators and after you install, there may be a bit of a lag in the performance of the computer. It’s not that much honestly. It’s basically a matter of personal preference at this point as most of the larger poker sites have addressed reaching the Mac user market. For example, Full Tilt Poker and Ultimate Bet now offer Mac downloads while Bodog and Cake Poker now offer the web-based flash software versions. The simplest of the 3 methods is to play at a room that offers special Mac-friendly poker software clients. As stated in the previous paragraphs, Full Tilt and UB have these versions and also offer the Flash option as well. The drawback for the large download is the amount of space the files use up. 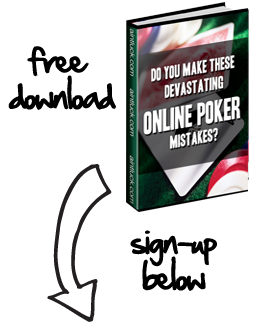 This is no longer an issue if you utilize the second option, the web-based poker software. If one wants to have the full PC experience while using a Mac, they are able to go and purchase a PC emulator to run the Windows poker software. However, most of these applications must be purchased so you are essentially paying a one-time startup fee for the privilege. No matter your preferred method of playing online poker, Mac users can rejoice at the numerous options now made available to them.